Military recruiters across all branches are enjoying meeting and exceeding recurring quotas. Typically these are the times when new recruiting programs get halted and not a lot of innovation happens. This is not the case for the Air Force as they just unveiled an “Augmented Reality” mobile tour called Command Center Alpha that utilizes virtual reality, 3-D technology, videos and digital downloads to better relate and reach the 17-24 demographic. The nature of the tour is experiential and it allows the Air Force to simply showcase its assets and its mission in such a way that speaks to its desired demographic. While this is a supplement to its current television advertising campaign, it is important to relate to the desired demo outside of just pure traditional advertising. 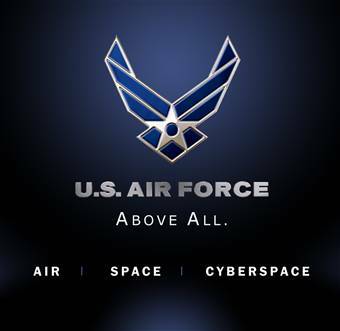 Half the battle is speaking the same language potential recruits are and the Air Force is utilizing the technology space well. We are excited to be using this new form of technology to inspire and educate the American public about the United States Air Force. Technology changes the way we fly, fight and win, and by using cutting-edge technology like augmented reality, the Command Center Alpha tour is able to illustrate the high-tech nature of the Air Force. This entry was posted on April 28, 2010 by majastevanovich in Experiential Marketing, Marketing Communications, Military and Troops News, Military Recruiting and Marketing Strategy, Social Media and tagged Augmented Reality, Command Center Alpha, digital marketing, Experiential Marketing, Military, mobile marketing, Technology, US Air Force.